During the weekend of the 9th, 10th and 11th of May, we went on a school trip. On Saturday we left school at 6 o’clock in the morning. We went directly to Amsterdam and we started by visiting the Rijksmuseum, which was quite impressive. Then we went on a boat cruise on the beautiful canals of the city. After these activities we embarked on the hugest boat we had ever seen – oh, it’s actually called a ferry – that led us to York, United Kingdom. Tiny rooms, delicious food, lounge bars, shows, music and dance, water all around us… The crossing was absolutely delightful. On Sunday, we left the boat to go to York. Of course, we visited the York Minster. 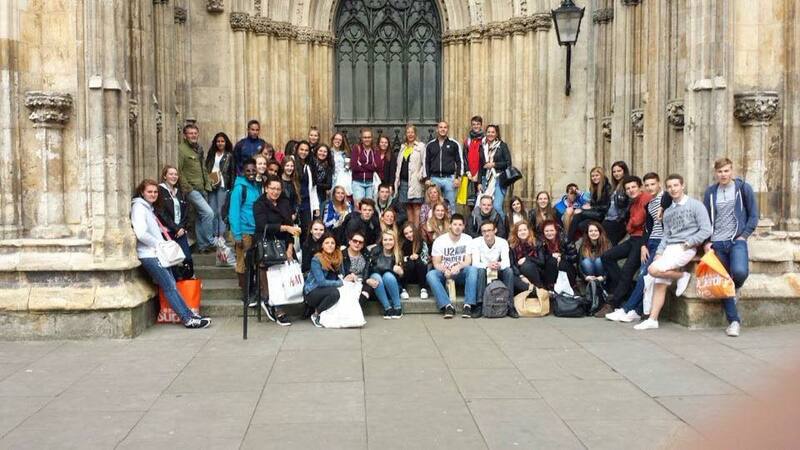 We spent time in the centre, walked through the city and on the city walls. And in the evening, we were back on the ferry. The next and last day we left the boat to go to Delft, a lovely town in The Netherlands, with a lot of canals and cute ducks – we fed them with crackers, they seemed to like them. In the morning, we went to the Vermeer centre, where we learned a lot about his life and paintings. We also visited De Delftse Pauw, a porcelain factory. There we were allowed to see how this porcelain is made and hand-painted. Then we had some free time before we had to go back to Belgium. Unfortunately! Each one of us enjoyed this trip, it was truly nice! Fichier audio de la publication.